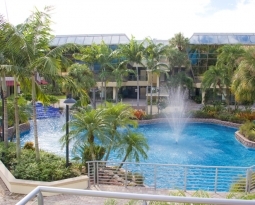 Fountains Center, a mixed-use restaurant/retail/office plaza located on Camino Real and Powerline Road in Boca Raton, has announced the upcoming openings of two new major tenants, Butcher Block Grill and Z-Pro Salon & Spa. Both establishments will open to the public on August 20, 2013. 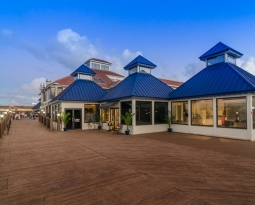 Owned by Zvi Schwarzman/ TJAC Development, and operated by managing director Mike Zikri, the 15-acre development consists of 185,000 square feet of leasable space, and is divided amongst seven buildings. The plaza features waterfalls and fountains that line the walking paths throughout the center. Additional tenants include Mozart Café & Catering, GetMed Urgent Care, 3D Learner, Inc., Boca Integrated Health, Apollo Transportation, and Marc Rosen, CPA, among others. “We have made a significant investment in improving this entire property,” says Zikri. “In addition to adding a number of aesthetic elements to the property, our occupancy rate has skyrocketed from 42% in February 2012 when TJAC acquired the property, to nearly 90% now, including our two new tenants. 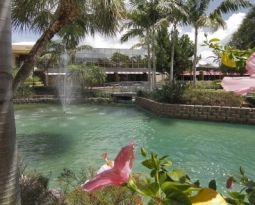 Fountains Center is located at 7600 West Camino Real, just west of where Powerline Road meets West Camino Real in Boca Raton. 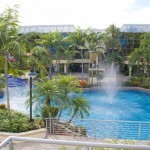 For information, visit fountainscenter.com or call 561.488.0877. Boston-based entities ZVI Construction Company and TJAC Development working together have been providing development and construction management services on four continents (North America, Latin America, Europe and Asia) for more than 30 years. The company has in excess of $1billion worth of commercial and residential projects successfully completed to date. ZVI’s contracts range from multi-million-dollar developments to small retail and tenant space improvements/renovations, including universities, independent schools, urgent care practices, restaurants, medical centers, offices, non-profit interests and corporate projects.